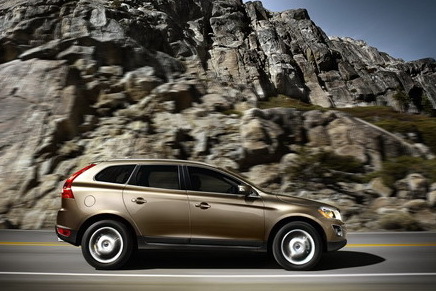 The new crossover SUV from Volvo – the XC60 – has a 3.0L turbo-charged six cylinder engine. This crossover is no pushover getting some extra giddyap from a twin-turbo setup that produces 281 hp and 295 lb-ft of torque. Dynamic Stability and Traction Control (DSTC) is one of the most vital safety advances in the past decade by helping prevent spinouts, fishtails, and rollovers. The new XC60 has lots of torque for hill climbs and has a cool “hill descent control” feature for the other half of the hill. Watch Ulrika climb (and descend) a slope so steep it would make Edmund Hillary stain his shorts.